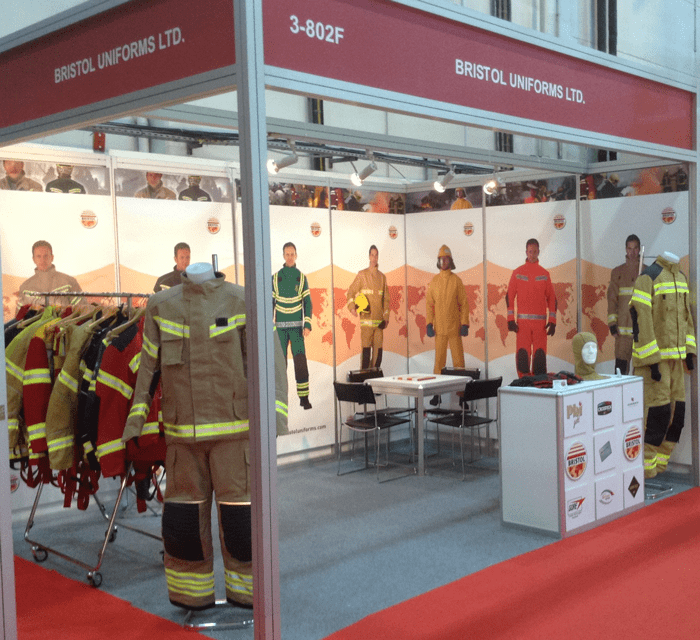 Firefighter garment design varies considerably within countries as fire and rescue services look to adapt fire coats and trousers to meet their specific needs, whilst maintaining the performance standards required by their regional regulating authorities. Internationally, the scale of this variation is of a different magnitude, as different parts of the world not only adopt different standards (EN, NFPA, ISO and others) but fire services, whether municipal or industrial, look to provide clothing which offers the best ergonomic performance for their climatic and operational environments. The best firefighter garments are bespoke, individually tailored to ensure that both design and size are fully accounted for in ensuring the firefighter’s complete ensemble is as safe and protective as possible. By manufacturing for world markets, leading manufacturers benefit from the experience gained through responding to this wide range of design specifications. The ability to succeed in international markets, especially in manufactured products, requires imagination, investment and the ability to offer good value in the form of high quality products which, in many markets around the world, are not available from local manufacturers. Bristol Uniforms, which began exporting clothing in the mid-19th century, became a pioneer in the development and design of technical garments to protect against heat and flame during World War II. The design and manufacture of flame resistant flying suits for airmen began a journey which has seen the company become a world leader in firefighter PPE. By the early 21st century Bristol firefighter PPE was being used in over 110 countries around the world. 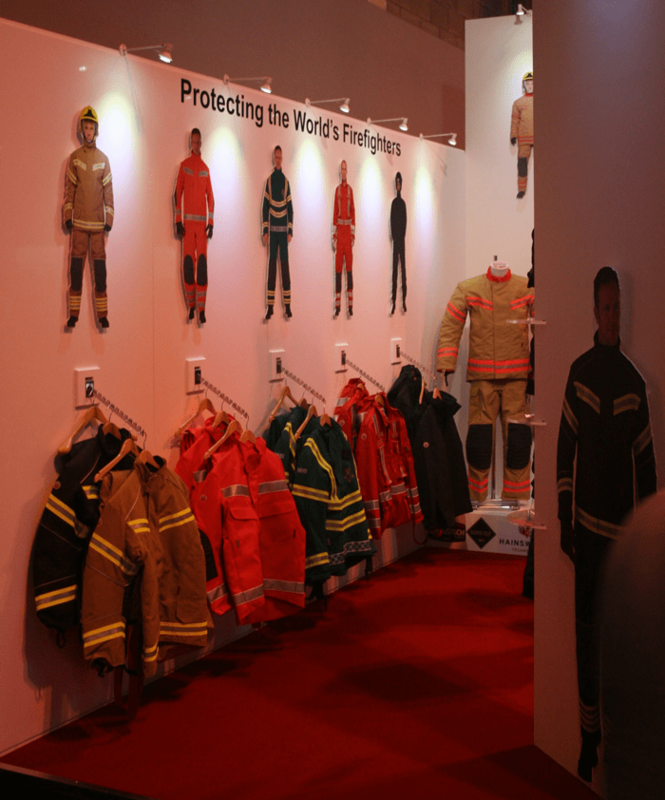 To achieve international recognition, and become a leading brand in the field of technical garments for the emergency services, has required a consistent business strategy and a long term commitment to investing in research and development and building close and collaborative relationships with key suppliers. Furthermore, it has needed patience and the allocation of time to research and understand the very different needs of markets around the world. This has been achieved through the development of a network of appointed distributors over the past 40 years which form the core markets for the Company’s overseas business. Essential characteristics of successful local distributors include good market knowledge; established links with both specifiers and key customers; an understanding of local cultural traditions and ways of conducting business, especially buying motivations and procurement processes; up-to-date market intelligence in terms of competitor activity, strengths and weaknesses and a solid commitment to promoting and supporting the principal’s brand and reputation. Concorde Trading, in Abu Dhabi, became Bristol’s first distributor in 1974 and started the development of a network which, 25 years later, had grown to almost 20 and now has distributors in over 70 countries and which is continuing to expand as new markets are opened up. Achieving a close and trusted working relationship with specialist distributors requires significant investment in their people and resources which combine to deliver successful and rewarding results. Working closely with distributors requires regular contact through face-to-face meetings in their own countries as well as regular electronic communication. Members of the overseas business development team commit much of their time to travelling abroad to meet their distributors’ sales personnel and to provide technical and product training. These visits also provide the opportunity to attend, and support, distributors exhibiting at national and international exhibitions around the world as well as to arrange joint planning meetings with major customers. Working together demonstrates a strong commitment to the brand and the customer benefits of drawing on the combined resources of the relationship. As part of the ongoing development of the distributor network, Bristol organises a major three day international conference every two years to which representatives of every distributor are invited and which provides a unique opportunity for members of the network to meet each other and to share experiences. These conferences also offer a secure environment for delegates to discuss and debate commercially and technically sensitive issues and to be briefed on market intelligence and forward plans. At the 9th international conference held in the summer of 2014 over 40 delegates came to Bristol to be part of an event which included technical and commercial sessions and which was supported by sponsorship from key suppliers. Presentations were given by PBI Performance Products, A W Hainsworth and W L Gore, with additional support from DuPont and 3M, whose presence added depth to the event. These sessions covered recent technical advances in fibre and fabric innovation and briefings on their product development programmes. With technical knowledge, a thorough understanding of relevant standards and good market intelligence together forming the basis for efficient and effective sales activity, conferences focus on these issues. In this way technical training on products and their applications takes place in a group environment where questions can be asked, issues debated and factors influencing success exchanged. At the most recent conference, standards expert Dave Matthews was on hand to brief delegates on recent revisions to firefighter PPE standards including NFPA1971:2013 and EN469:2014. Advance knowledge of planned new standards was also provided in the shape of a new European technical rescue standard and updates to wildland firefighting. Product familiarisation is central to maintaining distributors’ competitive edge and the most recent new product introductions formed part of the briefing sessions and included an in-depth look at the new Bristol range of firefighter gloves and the advanced XFlex™ Layered Garment immediately prior to its launch. 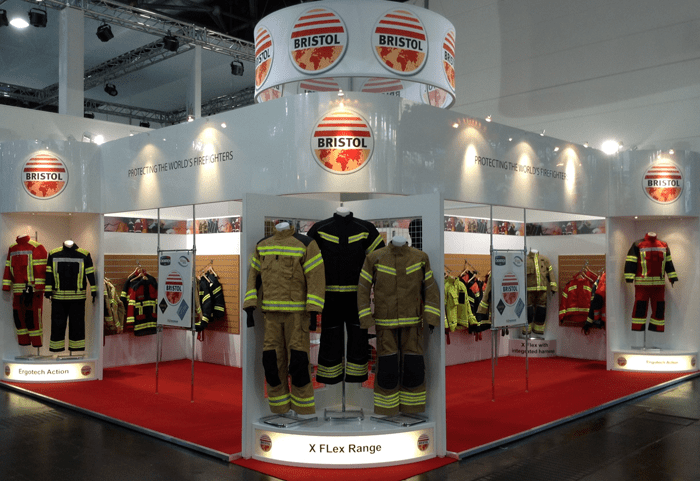 A highlight of the 3 day event was the announcement that Greater Manchester FRS would become the first fire & rescue service anywhere in the world to adopt a Bristol’s layered garment solution to meeting the combined needs of structural fire, technical rescue and wildland operations. Having carved out a solid international presence through an active international strategy, starting with exports to the West Indies in the 1830s and Australasia in the 1850s, Bristol has long recognised the benefits of having a geographically diverse portfolio of customers. In a world in which the pace of change accelerates relentlessly, the need to balance out the risks associated with geo-political changes necessitates an investment strategy encompassing both developed and developing markets. By steadily expanding its international business, the Company was generating around half its revenues from outside the UK by the end of the 1990s. In this way, Bristol has seen the benefits of greater financial security and better long term business sustainability through a strategy which has also provided it with an in-depth understanding of the very different business environments and opportunities that characterise world markets. These, in turn, have helped influence new product design and development and a manufacturing capability which provides the flexibility to offer truly bespoke firefighter PPE to meet the preferences of individual customers.